Foodline is a unique and feature-rich theme optimized for restaurant & online food store. This theme best fit to all kinds of food business like a restaurant, bakery, pizza, organic food, etc. 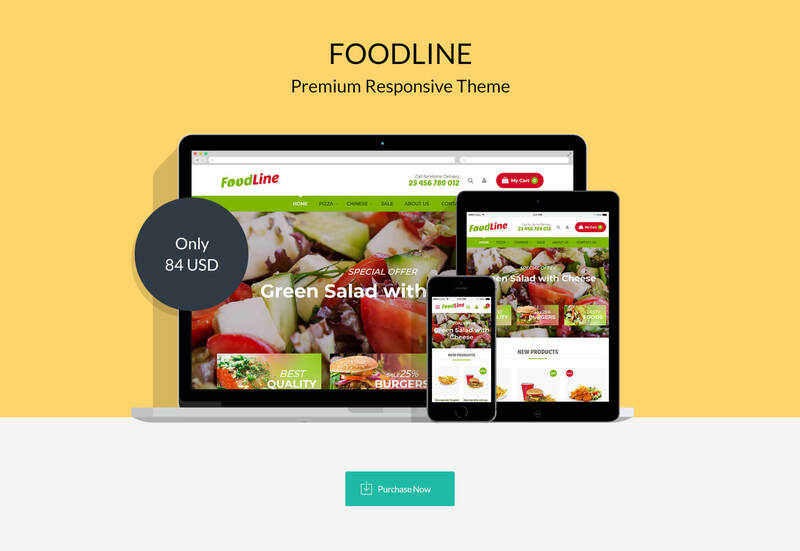 Foodline is a unique and feature-rich theme optimized for restaurant & online food store. This theme best fit to all kinds of food business like a restaurant, bakery, pizza, organic food, etc. Every single element is finely tuned and refined, reflecting a sense of elegance and beauty. Food is the ingredient that binds us together! Classic design home page slider help to promote your products. Create a memorable first impression with Product Navigation. Grab your customer attention with New and Sale product labels. Make every moment shoppable with Quick Add to Cart. Responsive design helps your customer can order from any devices. Sticky Add to Cart provide hassle free shopping experience. With Foodline convert your visitors into customers. This theme optimizes for all types of Screen and device. All our themes are out of the box mobile responsive. 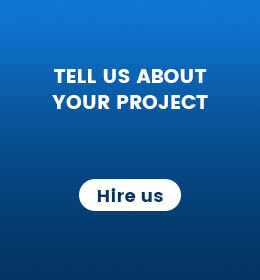 Professionally built static blocks to help you showcase your products like a pro! 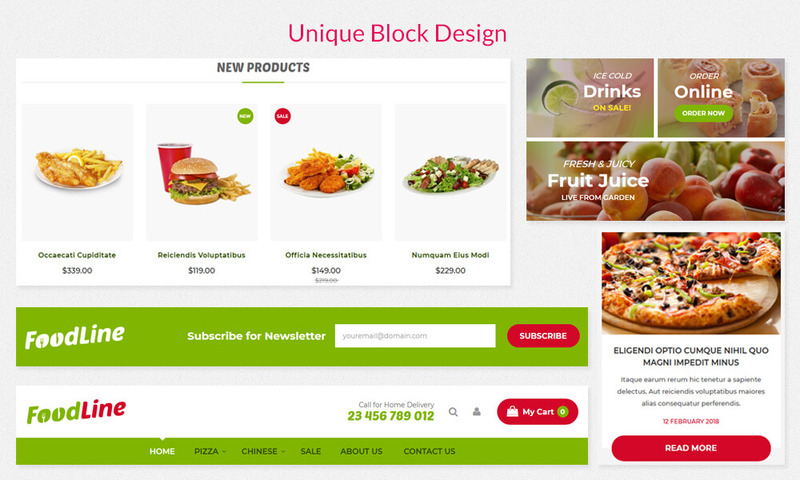 Blocks will help you to create stunning web designs! 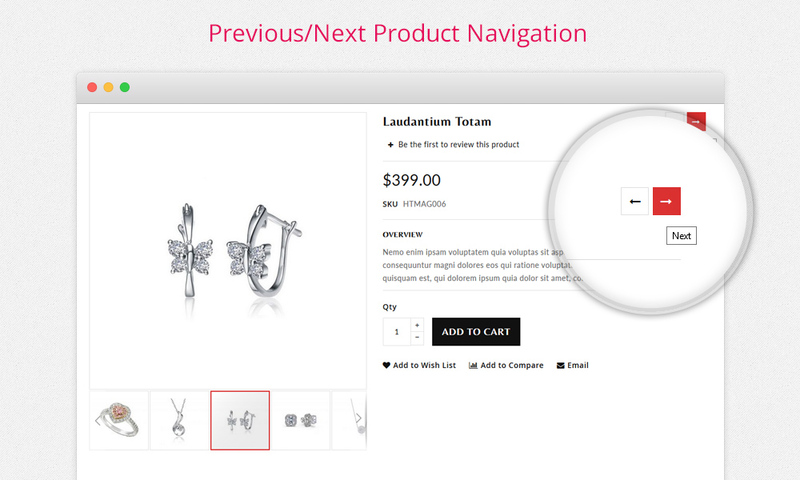 Improve your website usability with easy to use previous-next product navigation! It creates an ultimate shopping experience! 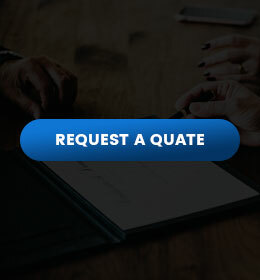 Customize sites according to your need and requirements. Unlimited customization helps merchants to build both easy-to-use and flexible websites. Super easy it is!! 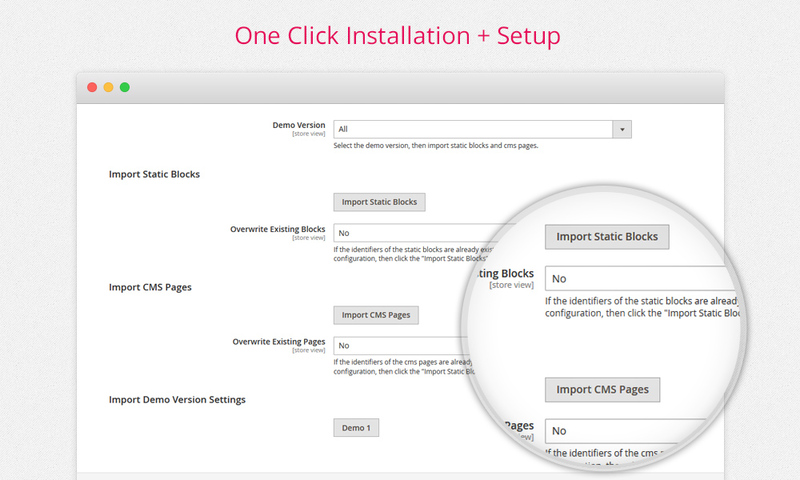 You can easily install any of our themes and plugin with just a single click. You can also take a live preview. Sticky Header: Sticky header with navigational elements will help customers to route their way around a store. Here you can easily enable sticky header. Custom Product Tabs: Present your product in the best ways. Product tab functionality allows you to add products tabs like size charts, specifications, shipping rules. Newsletter Popup: Newsletter helps to share your promotional messages with your customer. Easily engage customer with your store. Mega Navigation: Mega Navigation create dynamic menu ever. This helps merchants to create a better look and professional navigation menus easily. Sticky Add to Cart: Sticky add to cart provides hassle free shopping experience to customers. A customer can quickly add a product to the cart without scrolling. Customize Product Grid & Image Size: This feature helps to customize product grid size and product image size. 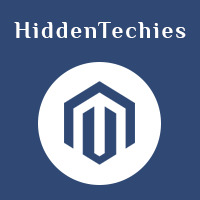 This will help to adjust the listing of products on category pages. Cross Browser Compatibility: Compatible with the latest versions of all modern browsers - Chrome, Safari, Firefox, Opera, IE11 and above. 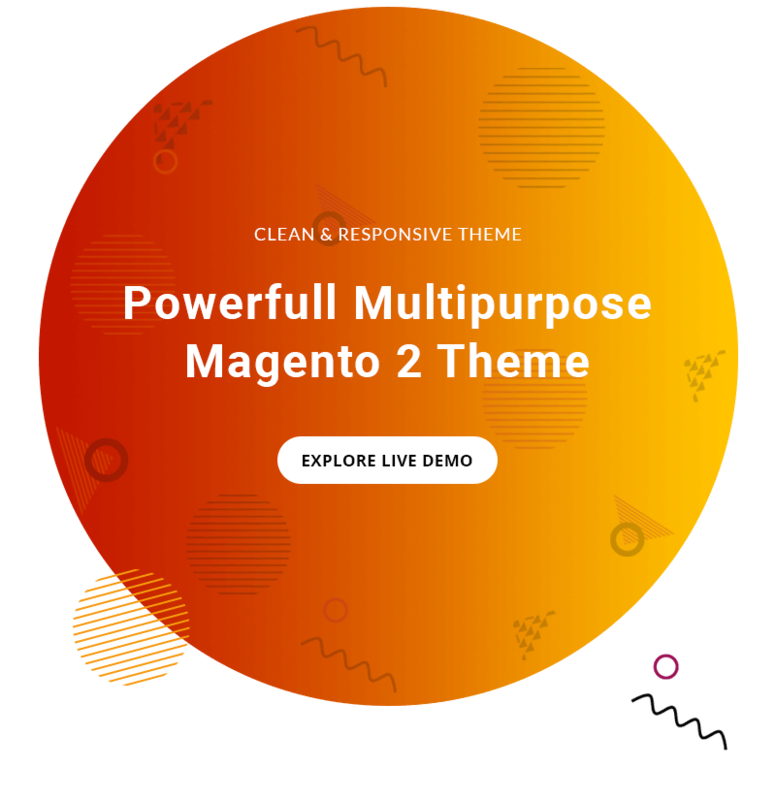 Are you going to start your new Magento 2 store but confused whether you should choose a free or a premium Magento 2 theme? Here, we would like to compare a few common features of free Magento 2 themes with those of premium themes. Using below comparison table, you will get an idea how they essentially differ in terms of Price, Quality, Theme Features, Web Standard, Functionality, Extension Compatibility, Update and Security, etc.